In 1916, James and Elizabeth McClure settled in Fairview, North Carolina before paved roads and bustling business came to pass. They saw the beauty of the mountains and an opportunity for a better life, but they were servants of a greater purpose. They built a Farmer’s Federation, cultivated the land, and set the foundation for the community. We continue that legacy today. We are continuing a 100-year-old mission to build community through agriculture. 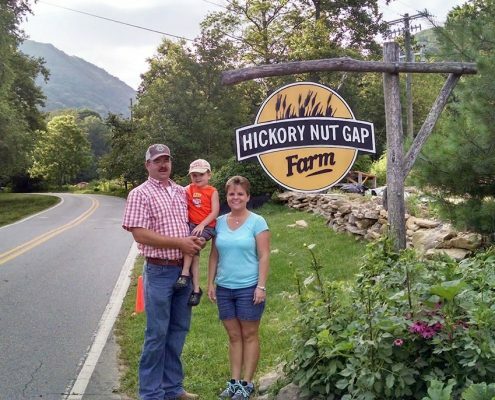 Hickory Nut Gap has a rich legacy of food, family, and community on a fifth generation family farm that has been in the same family since 1916. 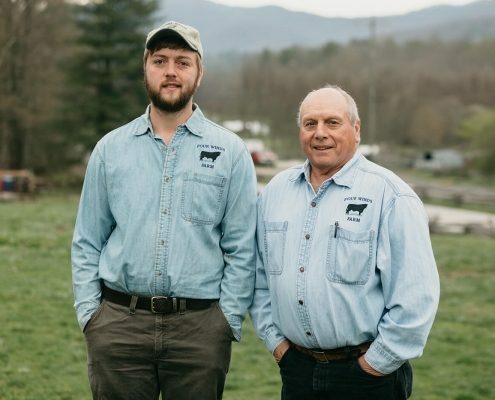 Today we are a leading brand for pasture raised livestock and are building sustainable farming systems in the Carolinas and beyond. We care about the animals we raise. 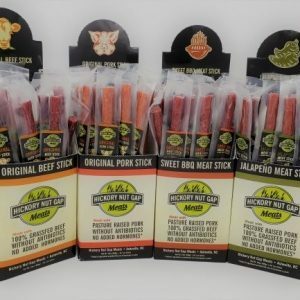 Scientific research has proven that removing stress from the animal and allowing it to thrive in a natural environment produces better quality product with greater nutritional value. We believe raising animals with care and respect is the right thing to do. Farm animals that are able to exhibit behaviors as they would in nature are happier and healthier. We honor and respect that philosophy by exercising care and concern for the well-being of our animals. 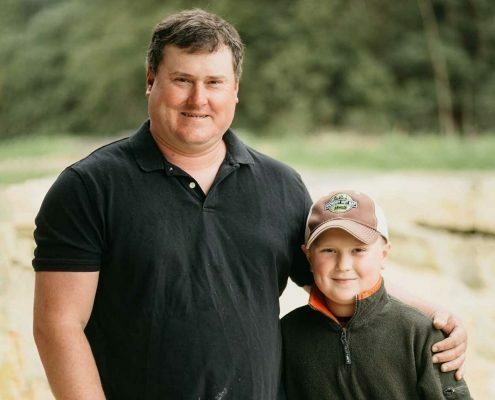 We work with the best farmers in the business. 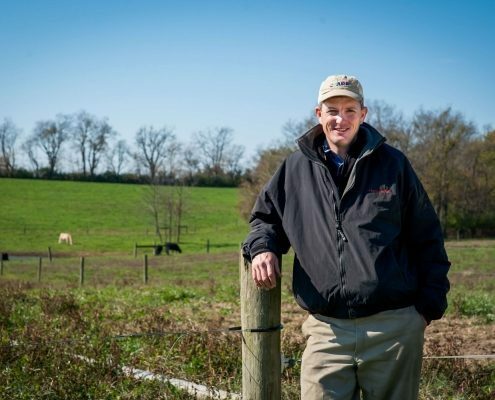 All of our farmers adhere to established protocols that reflect the HNG values and mission. All of our animals are treated humanely, with great care and concern. 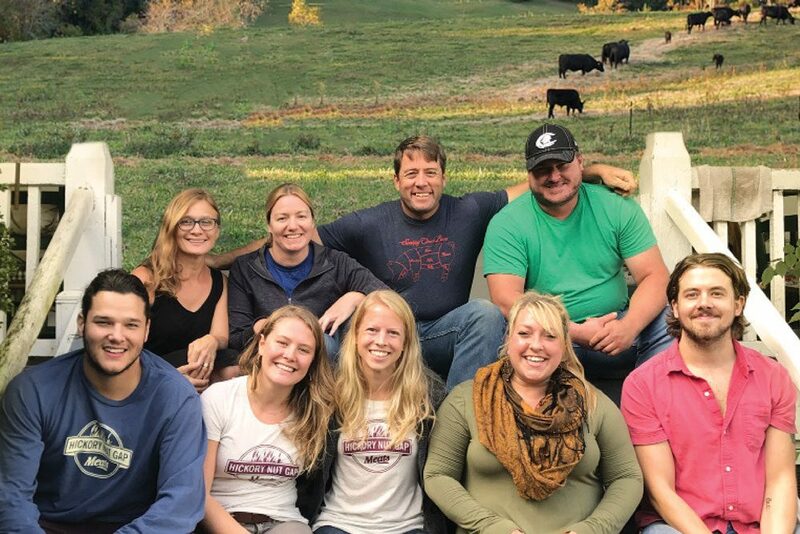 To be a part of our farmer network, their values match our own and their passion is equal. We work together to build community through agriculture. Our team is dedicated to bringing you the best experience possible. We believe giving good service starts with an INTERNAL (staff, employees, family, ourselves) relationship that we can share with the EXTERNAL (customers, vendors, anyone we interact with) partnerships. All of our employees are committed to providing a stellar customer experience. 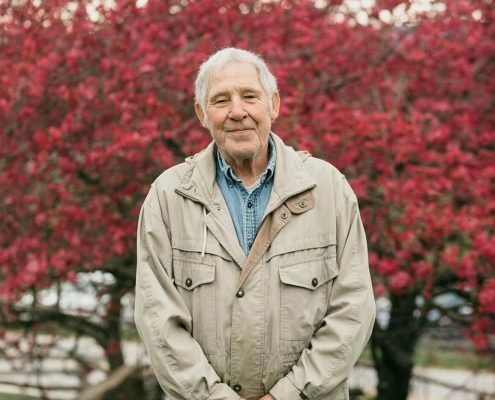 As a company, we strive for authentic, honest connections with our customers at every level of service.